to be a safer, smarter, and better backcountry snowmobiler. through accredited classroom and field training courses. American Avalanche Association (A3) Pro members; are trained in CPR/first aid and are Wilderness First Responders. ​ and responsibility in the backcountry - for sledders, by sledders. All of our avalanche courses and instructors meet AIARE and American Avalanche Association (A3) guidelines.
" Are you a good riding partner ? " Could you rescue someone in your group if they were caught in an avalanche? Does your group formulate a plan based on the avalanche forecast and know how to identify terrain to avoid? Are you confident that your terrain choices and travel techniques will keep you and your group out of harm's way? 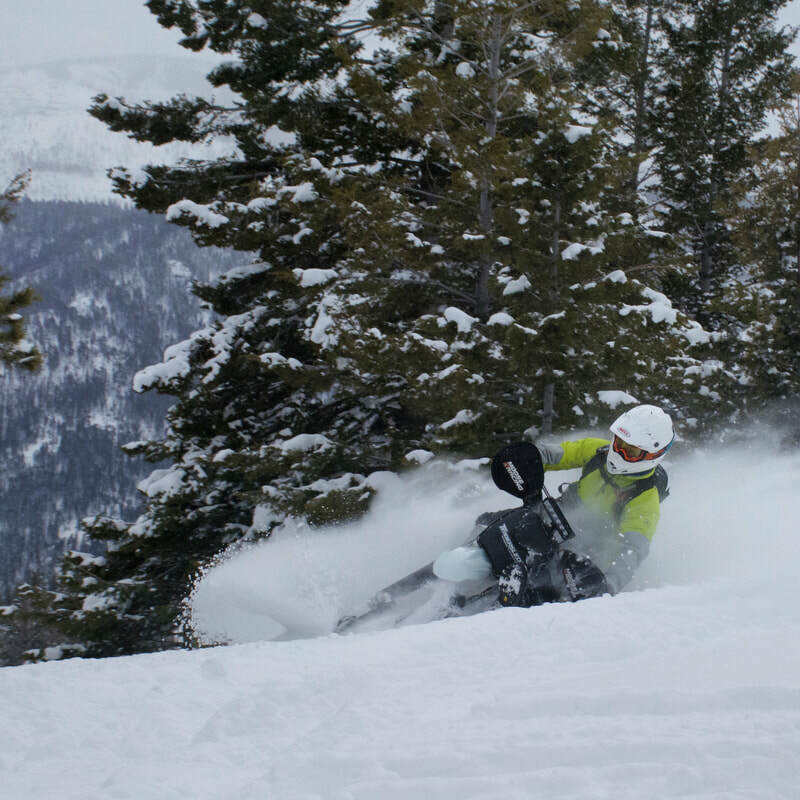 ​Motorized AIARE Level 1 is a 3 day / 24 hour avalanche course specifically designed for snowmobilers and snow bikers. 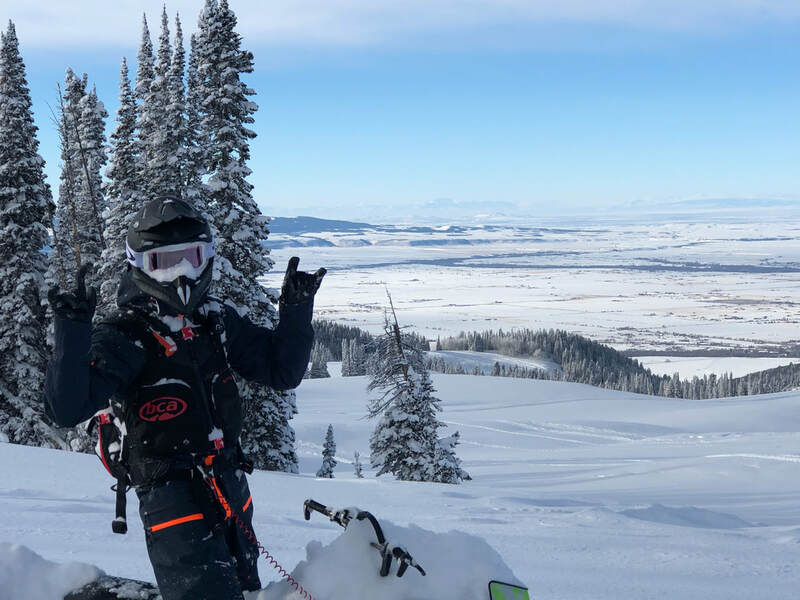 With a 30/70 classroom/field split, this course emphasizes riding time and teaches the fundamental aspects of the AIARE risk management process and decision making with respect to backcountry snowmobiling and snow biking in avalanche terrain. Topics covered include preparation, planning, and execution of a backcountry ride based on avalanche conditions, avalanche terrain identification, hazard mitigation and safe travel techniques; weather, snowpack, and stability analysis; and avalanche rescue techniques. ​Motorized AIARE Avalanche Rescue is a 1 day / 8 hour field course that teaches you the essential life saving skills and techniques of companion rescue. Learn how to properly use your transceiver, shovel, avalanche probe, and other gear. This course is great for any experience level and is intended to be retaken on a regular basis in order to keep up to date on the best practices in avalanche rescue techniques and gear. New participants will learn the basics of companion rescue, while return participants can expand their skill set with advanced topics and complex realistic scenario practice. 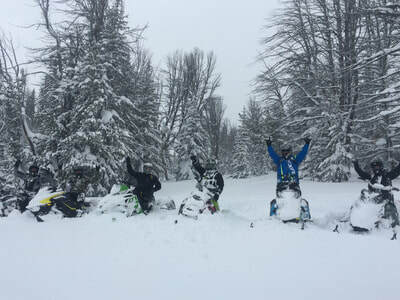 This course is great to expand on the basic rescue skills in a Level 1, or as a place to begin with your riding group every season to get dialed on your technique and rescue gear. ​Avalanche Class & Backcountry Riding packages are the best of both worlds! Get your avalanche training then join us for extra days of guided backcountry riding - applying your new knowledge in the backcountry while accompanied by an instructor for extended mentorship - and awesome riding! We offer 3-day and 5-day packages. Choose a 1-day Avalanche Rescue with 2 days of backcountry riding; or a 3-day AIARE 1 with 2 days of backcountry riding. for your riding group? Contact us to see how we can come to you!
" Hey, what's the deal with avalanche education, anyway? " ​or would like to host The Mountain Riding Lab in your area, please fill out the contact form below.